Arensburg, B., and Hershkovitz, I., 1989, Artificial Skull "Treatment" in the PPNB Period: Nahal Hemar. In People and Culture in Change: Proceedings of the Second Symposium of Upper Paleolothic, Mesolithic, and Neolithic Populations of Europe and the Meditewa-neanBasin, edited by I. Hershkovitz, pp, 115-131.British Archaeology Review, International Series 508. Bar, Oxford. Aurenche, O., and Calley, S., 1988, L'architecture de l'Anatolie du sud-est au Néolithique acéramique. Anatolica 15: 1-24. Baird, D., Garrard, A,, Martin, L., and Wright, L., 1992, Prehistoric Environment and Settlement in the Azraq Basin: An Interim Report on the 1989 Excavation Season. Levant 24: 1-31. Banning, E. B., and Byrd, B. F., 1987, Houses and the changing residential unit: Domestic Architecture at PPNB 'Ain Ghazal, Jordan. Proceedings ofthePrehistoric Society 53: 309325. Banning, E. B., Rahimi, D., and Siggers, J., 1994, The Late Neolithic of the Southern Levant: Hiatus, Settlement Shift or Observer Bias?The Perspective from Wadi Ziqlab. Paléorient 20(2): 151-164. Bar-Yosef, O., 1981, Neolithic Sites in Sinai. In Contributions to the Environmental Histoy of SouthwestAsia, edited by W. Frey and H-P. Uerpmann, pp, 217-235. Beihefte zum Tubinger Atlas des Voderen Orients, Reihe A, Nr. 8, Wiesbaden. Bar-Yosef, O., 1984, Seasonality among Neolithic Hunter-Gatherers in Southern Sinai. In Animals andArchaeology: 3. Early Herders and TheirFlock, edited by J. Clutton-Brock and C. Grigson, pp. 145-159. British Archaeological Review International Series 202. BAR, Oxford. Bar-Yosef, O., 1985, The Stone Age of the Sinai Peninsula. In Studi di Paleontologia in Onore di Salvatore Puglisi, edited by M. Liverani, A. Palmieri, and P. Peroni, pp. 107-122. Universita di Roma "LaSapienza,"Roma. Bar-Yosef, O., and Alon, D., 1988, Nahal Hemar Cave. Atiqot 18. Bar-Yosef,O.,and Belfer-Cohen, A,, 1989,The Levantine "PPNB"interaction Sphere. In People and Culture in Change, edited by I. Hershkovitz, pp. 59-72.British Archaeological Reports International Series 508. BAR, Oxford. Bar-Yosef, O., and Belfer-Cohen, A., 1992 , From Foraging to Farming in the Mediterranean Levant. In Transitions to Agriculture in Prehistory, edited by A. B. Gebauer and T. D. Price, pp. 21-48. Prehistory Press Madison, Wisconsin. Bar-Yosef, O., and Meadow, R. H., 1995, The Origins of Agriculture in the Near East. In Last Hunters, First Farmers: New Perspectives on the Transition to Agriculture, edited by T. D. Price and A. B. Gebauer, pp. 39-94. Schools of American Research Press, Santa Fe, New Mexico. Belfer-Cohen, A,, 1990,The Natufian Graveyard in Hayonim Cave. Paléorient 14(2): 297-308. Belfer-Cohen, A., Arensburg, B.,Bar-Yosef, O., and Gopher, A,, 1990, Human remains from Netiv Hagdud-A PPNA site. Mitekufat Haeven 23: 79-86. Betts, A,, 1988, Excavations at Dhuweila, Eastern Jordan. A preliminary report. Levant 20: 7-21. Betts, A,, 1990, The Pre-Pottery Neolithic B Period in Eastern Jordan. Paléorient 15(1): 150 -156. Bienert, H. D., 1991, Skull Cult in the Prehistoric Near East. Journal ofPrehistoricReligion 5: 9-23. Byrd, B. F., and Monahan, C. M., 1995, Death, Mortuary Ritual, and Natufian Social Structure. Journal of Anthropological Archaeology 14: 251-287. Cauvin,J., 1972,ReligionsNéolithiquesdeSyro-Palestine. Publications du Centre de Recherches d'Ecologie et de Préhistoire, Paris. Cauvin,J,, 1978, LesPremiers Villages Syrie-Palestine du IXe au VIIeMillénaire av.J.C. CMO 4, Arch. 3, Lyon et Diffusion de Bocard, Paris. Cauvin, J,, 1994,Naissance des divinités Naissance de l'agriculture. CNRS, Paris. Contenson, H. de, 1992, Les Coutumes Funéraires dans le Néolithique Syrien. Bulletin de la Société Préhistorique Française 89(6): 184-191. Davis, S. J. M., and Valla, F. R., 1978, Evidence for Domestication of the Dog 12,000 years ago in the Natufian of Israel. Nature 276: 608-610. Edwards, P. C. , 1991, Wadi Hammeh 27: An Early Natufian site at Pella, Jordan. In The Natufian Culture in the Levant, edited by O. Bar-Yosef and E. R. Valla, pp. 123-148. International Monographs in Prehistory, Ann Arbor, Michigan. Edwards, P. C., and Thorpe, S., 1986, Surface Lithic Finds at Kharaysin, Jordan. Paléorient 12(2): 85-87. Flannery K., 1995,PrehistoricSocialEvolution. InPrehistoricSocialEvolution, edited by C. R. Ember and M. Ember, pp. 1-26. Prentice-Hall, Englewood, New Jersey. Garrard, A. N., 1991, Natufian Settlement in the Azraq Basin, Eastern Jordan. In TheNatufian Culture in the Levant, edited by O. Bar-Yosef and F. R. Valla , pp. 235-244. International Monographs in Prehistory, Ann Arbor, Michigan. Garfinkel, Y., 1987, Yiftahel: A Neolithic Village from Seventh Millennium B.C. in Lower Galilee, Israel. Journal ofField Archaeology 14: 199-212. Garfinkel, Y., 1988, Burnt Lime Products and Social Implications in the Pre-Pottery Neolithic B villages in the Near East. Paléorient 13(1): 69-76. Garfinkel, Y., 1994,Ritual Burial of Cultic Objects: The Earliest Evidence. CambridgeArchae-ologyJournal 4(2): 159-188. Garstang, G., 1935,Jericho: City and Necropolis, fifth report. LiverpoolAnnals ofArchaeology and Anthropology 23(3-4): 143-184. Gopher, A,, 1989, Horvat Galil and Nahal Betzet I: Two Neolithic Sites in the Upper Galilee. Mitekufat Haeven 22: 82-92. Gopher, A,, 1990,Neolithic arrowheads of the Levant: Results and Implications of a Seriation Analysis. Paléorient 15(1): 43-56. Gopher, A,, 1994,Arrowheads oftheNeolithicLevant. American School of Oriental Research: Dissertation Series, Volume 10. Winona Lake, Indiana: Eisenbrauns. Gopher, A,, and Gophna, R., 1993, Cultures of the Eighth and Seventh Millennium BP in the Southern Levant: A review for the 1990s.Journal of World Prehistory 7(3): 297-353. Gopher A., Goring-Morris, A. N., and Rosen, S. A,, 1995, A Pre-Pottery Neolithic B Occupation near Ein Qadis at the Edge of the Central Negev Highlands. Atiqot 27: 15-33. Goren,Y.,and Goldberg, P., 1991, Petrographic Thin Sections and the Development of Neolithic Plaster Production in Northern Israel. Journal ofField Archaeology 18: 131-138. Goren, Y., Goring-Morris, A. N., and Segal, I., n.d. The Technology of Skull Modeling in the Pre-Pottery Neolithic B: Regional Variability, the Relation of Technology and Iconography and their Archaeological Implications. Goren, Y., Segal, I., and Bar-Yosef , O., 1993, Plaster Artifacts and the Interpretation of Nahal Hemar Cave. Mitekufat Haeven 25: 120.131. Goring-Morris,A. N., 1991, A PPNB Settlement at Kfar Hahoresh in Lower Galilee: A Preliminary Report of the 1991 Season. Mitekufat Haeven 24: 77-101. Goring-Morris, A. N., 1994a, From Foraging to Herding in the Negev and Sinai: The Early to Late Neolithic transition. Paléorient 19(1): 63-87. 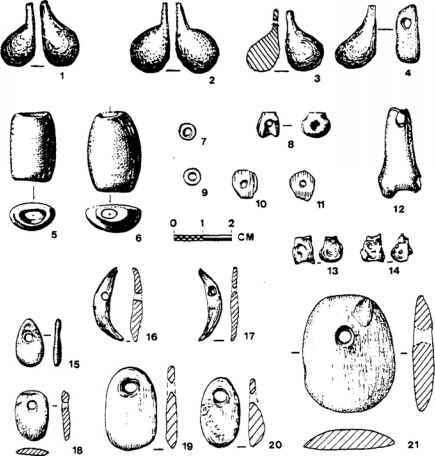 Goring-Morris, A. N., 1994b Aspects of the PPNB lithic assemblage from Kfar HaHoresh, near Nazareth, Israel. In Neolithic ChippedLithicIndustries of theFertile Crescent. Proceedings ofthe First Workshopon PPN Chipped Lithic Industries, edited by H-G. Gebel and S. K. Kozlowski, Studies in Early Near Eastern Production, Subsistence, and Environment 1, pp. 427-444. Ex Oriente, Berlin. Goring-Morris, A. N., 1995, Daily and ritual life at the PPNB Settlement of Kfar HaHoresh, Lower Galilee. Qadmoniot XXVIII, No.1 (109): 20-26 (in Hebrew). Gorng-Morris, A. N., 1996, The Early Natufian Occupation at El Wad, Mt. Carmel Reconsidered. In Nature et Culture, edited by M. Otte, Actes du Colloque International de Liège, E.R.A.U.L.No. 68: 417-427. Goring-Morris, A. N., and Gopher, A,, 1983 Nahal Issaron: A Neolithic Settlement in the Southern Negev. Israel Exploration Journal 33: 149-162. Goring-Morris, A. N., Goren, Y., Horwitz, L. K., Hershkovitz, I., Lieberman, R., Sarel, J., and Bar-Yosef, D., 1994-5 The 1992 Season of Excavations at the Pre-Pottery Neolithic B Settlement of Kfar HaHoresh. Mitekufat Haeven 26: 74-121. Goring-Morris, A. N., Goren, Y., Horwitz, L. K., Bar-Yosef , D., and Hershkovitz, I., 1995 Investigations at an Early Neolithic settlement in Lower Galilee: Results of the 1991 Season at Kfar HaHoresh. Atiqot 27: 37-62. Hauptmann, H., 1993, Ein Kultgebaude in Nevali Çori. In Between the Rivers and over the Mountains: Archaeologica Anatolica et Mesopotamia, Alba Palmieri Dedicata, edited by M. Frangipane, pp, 37-69. Rome. Hauptmann, H., 1997 Nevali Çori. In Archaeology in theNearEast, Volume 4, edited by E. M. Meyers, pp. 131-134. Oxford University Press, Oxford. Hershkovitz, I., Garfinkel, Y., and Arensberg, B., 1986, Neolithic skeletal remains at Yiftahel, Area C, Israel. Paléorient 12(1): 73-81. Hershkovitz, I., and Gopher, A,, 1990, Paleodemography, Burial Customs, and Food-Producing Economy at the Beginning of the Holocene: A Perspective from the Southern Levant. Mitekufat Haeven, 23: 9-47. Hershkovitz, I., Zohar, M., Speirs, M. S., Segal, I., Meirav, O., Sherter, U., Feldman, H., and Goring-Morris, N., 1995,Remedy for an 8,500-Year-Old Plastered Human Skull from Kfar HaHoresh, Israel. Journal of Archaeological Science 22: 779-788. Hershkovitz, I., Zohar, I., Wish-Baratz, S., Goren, Y., Goring-Morris, N., Speirs, M., Segal, I., Meirav, O., Sherter, U., and Feldman, H., 1996 High Resolution Computed Tomography and Micro-focus Radiography on an Eight Thousand Year Old Plastered Skull: How and Why It Was Modeled. In Culture et Nature, edited by M.Otte,Actes du Colloque International de Liege, E.R.A.U.L.No. 68: 669-682. Horwitz, L. K., 1987,The Fauna from the PPNB Site of Yiftahel: New Perspectives on Domestication. Mitekufat Haeven 20: 181-182. Horowitz, L. K., 1993, The development of Ovicaprine Domestication during the PPNB of the Southern Levant. In Archaeoroology of theNearEast, edited by H. Buitenhuis and A. T. Clason, pp. 27-36. Universal Book Services, Leiden. Kenyon, K. M., 1979, The Archaeology of the Holy Land, 4th edition. Ernest Benn, London. Kenyon, K. M., 1981, Excavations atJericho, VolumeIII: The Architecture and Stratigraphy of the Tell. British School of Archaeology in Jerusalem, London. Kenyon, K. M., and Holland, T. A. (eds. ), 1983,Jericho V. British School of Archaeology in Jerusalem, London. Kingery, D. W., Vandiver, P. B., and Pickett, M., 1988 The Beginnings of Pyrotechnology. Part II.Production and Use of Lime and Gypsum Plaster in the Pre-Pottery Neolithic Near East. Journal of Field Archaeology 15: 219-244. Kirkbride, D., 1966, Five seasons at the Prepottery Neolithic Village of Beidha in Jordan. Palestine Exploration Quarterly 98: 8-72. Kirkbride, D., 1967, Beidha 1965: An Interim Report. Palestine Exploration Quarterly 99: 5-13. Kirkbride,D., 1968, Beidha 1967:An Interim Report. PalestineExplorationQuarterly 100:90-96. Kohler-Rollefson, I., 1989, Changes in Goat Exploitation at 'Ain Ghazal between the Early and Late Neolithic: A Metrical Analysis. Paléorient 15: 141-145. Kohler-Rollefson, I., Gillespie, W., and Metzger, M., 1988, The Fauna from Neolithic 'Ain Ghazal. In The Prehistory ofJordan, edited by A. N. Garrard and H-G. Gebel, pp. 423430. British Archaelogical Review International Series 396. BAR, Oxford. Kuijt, I., 1995, New Perspectives on Old Teritories: Ritual Practices and the Emergence of Social Complexity in the Levantine Neolithic. Ph.D. dissertation, Harvard University, University Microfilms, Ann Arbor, Michigan. Kuijt, I., 1996, Negotiating Equality through Ritual: A Consideration of Late Natufian and Pre-Pottery Neolithic A Period Mortuary Practices. Journal ofAnthropological Archaeology 15: 313-336. Lechevallier, M., 1978, Abou Gosh et Beisamoun: Deux Gisements du VIIeMillénaire avant L'ére Chretienne en Israel. Mémoires et Travaux du Centre de Recherches Préhistoriques Français de Jerusalem, No. 2. Lechevallier, M., and Ronen, A,, 1994, Le Gisement de Hatoula enJudée Occidentale, Israel. Association Paléorient, Paris. Meiklejohn, C., Agelarakis, A,, Akkermans, P. A,, Smith, P. E. L., and Solecki, R., 1992 , Artificial Cranial Deformation in the Proto-Neolithic and Neolithic Near East and Its Possible Origin: Evidence from Four Sites. Paléorient 18(2): 83-97. Mellaart, J,, 1967, ÇatalHôyûk, aNeolithic Town in Anatolia. New York: McGraw-Hill. Moore, A.,1985,The Development of Neolithic Societies in the Near East. Advances in World Archaeology, edited by F. Wendorf and A. E. Close,pp. 1-69.Academic Press, New York. Neuville, R., 1951,Le Paléolithique et leMesolithigue de Desert duJudée. Archives de l'Institut de Paleontologie Humaine, Mémoire 24. Nishiaki, Y., 1994, The Naviform Method at Douara Cave II, Palmyra, Syria. In Neolithic Chipped Lithic Industries ofthe Fertile Crescent. Proceedings of the First Workshop on PPNChipped LithicIndustries, edited by H-G. Gebel and S. K. Kozlowski, pp. 363-378. Studies in Early Near Eastern Production, Subsistence, and Environment 1, Ex Oriente, Berlin. Nissen, H. J., Muheisen, M., Gebel, H-G., Becker, C., Neef, R., Pachur, H. J., Qadi, N., and Schultz, M., 1991, Report on the First Two Seasons of Excavations at Basta (19861987). Annual of the Department ofAntiquities ofJordan 35: 79-119. Nissen, H.J., Muheisen, M., Gebel, H. G., Becker, C., Hermansen, B. D., Kharasneh, W., Qadi, N., Schultz, M., and Scherer,A,, 1992 , Report on the Excavations at Basta 1988.Annual of the Department ofAntiquities ofJordan 36: 13-40. Noy, T., Legge, A. J., and Higgs, E. S., 1973, Recent Excavations at Nahal Oren, Israel. Proceedings of the Prehistoric Society 39: 75-99. Özdögan M,. and Özdögan, A,, 1990, Çayônû, A Conspectus of Recent Work. Paléorient 15(1): 65-74. Perrot,J.,and Ladiray, D., 1988, Les Hommes de Mallaha (Eynan), Israel. Mémoires et Travaux du Centre de Recherche Française de Jérusalem, No. 7. Association Paléorient, Paris. Redman, C., 1978, The Rise of Civilization. W. H. Freeman and Company, San Francisco, California. Rollefson, G., O., 1983, Ritual and Ceremony at Neolithic t'Ain Ghazal (Jordan). Paléorient 9(2): 29-38. Rollefson, G. O., 1986, Neolithic 'AinGhazal (Jordan): Ritual andCeremony, II. Paléorient 12: 45-52. Rollefson, G. O., 1990a,The Uses of Plaster at Neolithic 'Ain Ghazal, Jordan. Archeomaterials 4: 33-54. Rollefson, G. O., 1990b, The Late Aceramic Neolithic of the Levant. Paléorient 15(1): 168173. Rollefson, G. O., 1991,The critical role of technological analysis for prehistoric anthropological inference. Materials Research Society Symposium Proceedings 185: 365-374. Rollefson, G., O., and Kohler-Rollefson, I., 1989, The Collapse of Early Neolithic Settlements in the Southern Levant. In People and Culture in Change: Proceedings of the Secind Symposium on UpperPaelolithic, Mesolithic, and Neolithic Populations of Europe and the Mediterranean Basin, edited by I. Hershovitz, pp. 59-72. British Archaelogical Reports, International Series 508, Oxford. Rollefson, G., and Kohler-Rollefson, I., 1993, PPNC Adaptations in the First Half of the 6th Millennium B.C.Paléorient 19:33-42. Rollefson, G., O., Simmons, A,, andKafafi, Z., 1992, Neolithic Cultures at 'Ain Ghazal,Jordan. Journal of Field Archaeology 19: 443-470. Rosenberg, M., and Davis, M. K., 1992, Hallan Çemi Tepesi, An Early Ceramic Neolithic Site in Eastern Anatolia. Anatolica 18: 1-18. Schmidt, K., 1995, Investigations in the Upper Mesopotamian Early Neolithic: Göbekli Tepe and Gürcütepe. Neo-Lithics 2/95: 9-10. Simmons, A,,Rollefson, G., Kohler-Rollefson, I., Mandel, R., and Kafafi,Z., 1988,'Ain Ghazal: A Major Neolithic Settlement in Northern Jordan. Science 240: 35-39. Simmons, A., Kafafi, Z., Rollefson, G., and Moyer, K., 1989, Test excavations at Wadi Shu'eib, a Major Neolithic Settlement in Jordan. Annual of the Department of Antiquities ofJor-dan 33: 27-42. Simmons, A,, Boulton, A,, Butler, C., Kafafi, Z., and Rollefson, G., 1990, A Plastered Skull from Neolithic 'Ain Ghazal, Jordan. Journal of Field Archaeology 17(1): 107-110. Stekelis,M., and Noy, T., 1963, Excavations at Nahal Oren. Israel Exploration Journal 13: 113. Valla, F. R., 1990,Aspects du sol de I'abris 131 de Mallaha (Eynan). Paléorient 14(2): 183-296. Valla, F. R., 1996, L'animal "Bon a Penser": La domestication et la Place de l'Homme dans la Nature. In Culture et Nature, edited by M. Otte, Actes du Colloque International de Liège, E.R.A.U.L.No. 68: 651-663. Valla, F. R., Le Mort, F., and Plisson, H., 1991,Les Fouilles en cours sur la Terrasse d'Hayonim. In The Natufian Culture in theLevant, edited by O. Bar-Yosef and F. R.Valla, pp. 93-110. International Monographs in Prehistory, Ann Arbor, Michigan. Vaux, R., de 1966, Palestine during the Neolithic and Chalcolithic Periods. Cambridge, Cambridge University Press.